Are you looking to stock your pantry with authentic Mexican spices, but are stuck at cumin and chile powder? 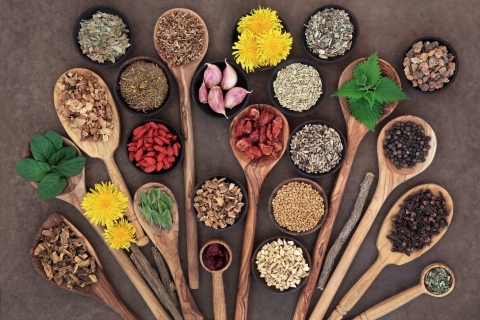 From achiote paste to papalo, learn more about Mexican spices and ingredients that will make experimenting with these foods fun and delicious. After making a mess in your kitchen, if you want a night off and someone else to cook, bring you a steamy plate of food, and clean afterward, come to our Mexican restaurant, Tortilla Flats. Achiote paste: Also known as recado rojo, you can buy some premade or make your own. The paste is used in a variety of dishes and works great as a marinade. Achiote paste is made from annatto seeds, coriander, oregano, cumin, cloves, and garlic. Try it when making chorizo or add it to tacos al pastor. Adobo sauce: This sauce has a smoky flavor and is a chili-based sauce made with ancho chiles, guajillo chiles, tomatoes, onions, garlic, ginger, and cumin. This also works well as a marinate, but try it on tacos, in a chili, or make braised barbacoa. Allspice: Popular in the Yucatan and the Sierra Norte region of Puebla, the Spanish gave the peppercorn-like spice the name pimienta gorda. The spice is used in adobo and pipian, a type of mole made with pumpkin or squash seeds. It can also be used in desserts, stews, cakes, and cookies. Anise: The licorice-like flavor and aroma, anise is the seed in the parsley family. It can be used in desserts and cookies. The flavor is well-known in pan de muertos, or Day of the Dead bread. Try it when you make a mole poblano. Annatto: The annatto seed has a subtle flavor and is used commonly to give food coloring, which is a bright, red/orange hue. 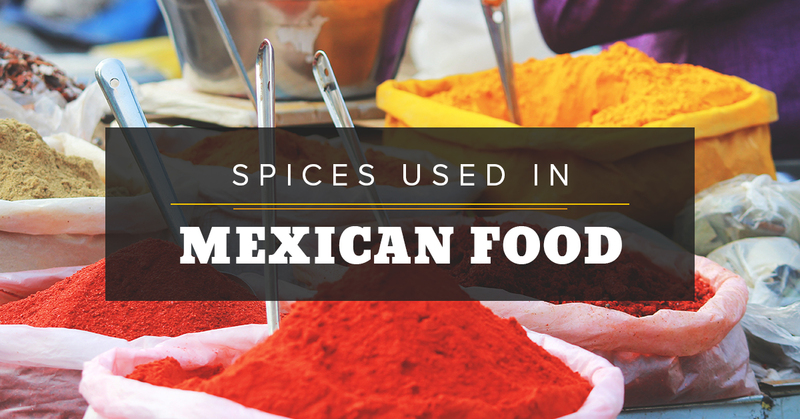 Smelling slightly sweet and peppery, it can be mixed with other ground spices to make achiote paste and used for a grilled meat, poultry, or fish rub. Capsicum peppers: Mexican chiles are a part of the capsicum family, which also includes paprika, red pepper, and cayenne. They are used both fresh as well as dried. When using the whole, dried version, soak them first to soften the pepper and the puree with other ingredients. Ground versions include ancho or chipotle powder. Clove: Similar to cinnamon, the clove is a dried flower bud and has a smokier flavor. Clove is commonly used in moles and other sauces. Coriander: This spice is the seed of the cilantro plant. It has a sweet, spicy taste with a bit of lemon and gives chorizo its unique flavor. Hoja Santa: Use this heart-shaped leaf sparingly, as it has an unexpected flavor, similar to mint or eucalyptus. It can be used in yellow moles, as a wrapper, or seasoning for meat, fish, and tamales. Mexican cinnamon: There are two types: Ceylon (true) cinnamon and Cassia (false) cinnamon. Mexican cooks prefer true cinnamon, while Cassia is sold and used in the U.S. They are both the dried, inner part of the bark of an evergreen tree and are used in spiced coffees, moles, desserts, and in sweet and savory dishes. Papalo: Similar to cilantro in both flavor and use, but papalo has a more bold, spicy taste. It can be used raw in tacos, guacamole, or salads. Romerito: Used in holiday dishes, romerito looks like rosemary, but tastes like spinach. It can be mixed with potatoes or used in mole sauce and adds a savory taste to cakes or rice and bean dishes. If you’re looking for delicious Mexican food, come explore the ingredients and flavors of these authentic spices and more at Tortilla Flats. Our Mexican restaurant is dedicated to providing Santa Fe with real New Mexican cuisine.